If you’ve ever entered a garden of bonsai trees, you may have noticed a specific feeling of tranquility that surrounds you. In fact, you may feel the stress of life simply seeping away, as if you’re taking the time to meditate and remove those bonds. But did you know that the art of bonsai was designed based on this idea? A bonsai tree is a form of art, borne of the beliefs of the Zen culture. The core idea is that, by their existence alone, these trees create an atmosphere of peace and serenity that reduce stress and anxiety naturally. The term ‘bonsai’ itself, however, explains something about these trees that a number of people don’t know. 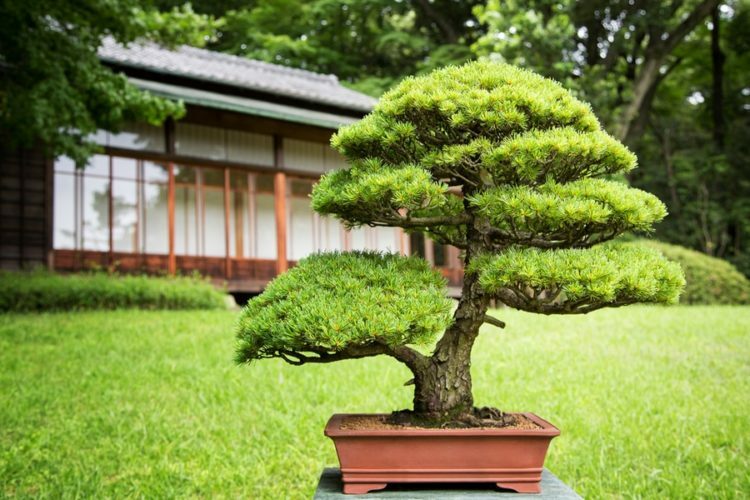 The term ‘bonsai’ literally translates from Japanese to English as ‘planted in a container’. So, while a lot of people assume that bonsai is a species of tree, that’s not true at all. In fact, any tree species in the world can become a bonsai tree by breeding it in a container and keeping it ‘small’. Technically, a bonsai tree is not a miniature, since it is grown from the same seeds as a regular sized tree of the species. They are simply kept at a smaller size and cultivated in a way that their appearance mimics their larger counterparts in nature. This is true of the juniper bonsai tree, as well as several other preferred species for the practice. It’s not certain just how far the horticultural practice of bonsai dates, though the Chinese have been practicing the cultivation and art for centuries. The practice was known as penjing in ancient China, and this is the predecessor to what the Japanese later adapted and has now become a worldwide hobby. The evidence displayed in museums attests to how far back the Japanese fascination with this practice goes. As long ago as the sixth century, the Japanese visited China. Imperial ambassadors, as well as students of Buddhism, would travel to the mainland in order to learn and spread knowledge, but they also enjoyed a great many of the arts and products of the Chinese people. 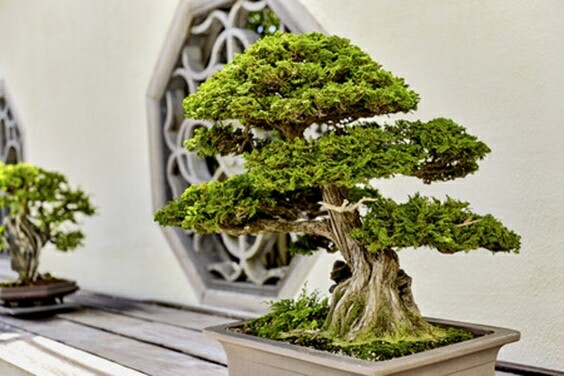 They often took large quantities of things – including bonsai trees – back with them to Japan as souvenirs or gifts from their travels to foreign lands. There are plenty of works of art that date back to this early time, depicting these travels, the items of interest (including bonsai trees), and the overall Japanese enjoyment of Chinese culture. 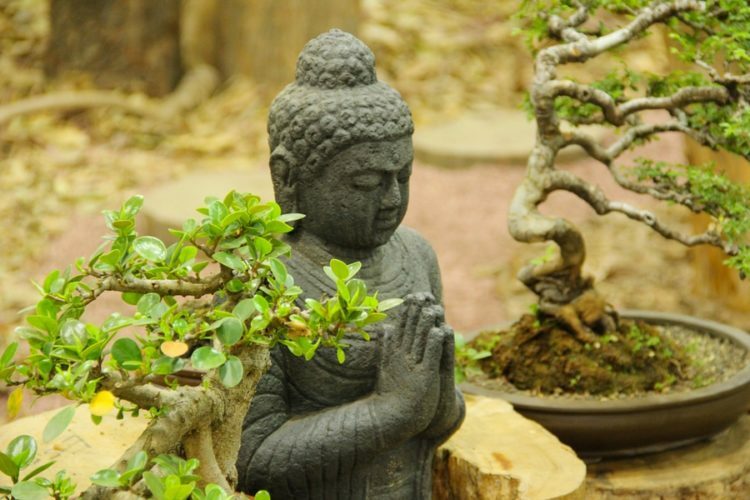 And it was during this time frame that the practice of creating bonsai trees entered into Zen Buddhism. Again, a bonsai is not one specific type of tree, and you can have a juniper bonsai tree or one of many other species. They are not genetically modified in any way. The only means by which they are kept smaller is through the efforts of the grower rather than scientifically creating a dwarf breed. A bonsai garden can be created from any one or multiple types of trees you desire if you are willing to take on the detail and care of the process. Because of their proclivities and the way they grow, the various species of juniper trees are all widely sought after for the practice of growing bonsais. While you can cultivate any type of tree into a bonsai tree, the best kinds are easily manipulated and slow growers. With trees that grow quickly, it’s harder to keep them properly trimmed and to bend and wire them in order to keep them growing in a particular direction and design. 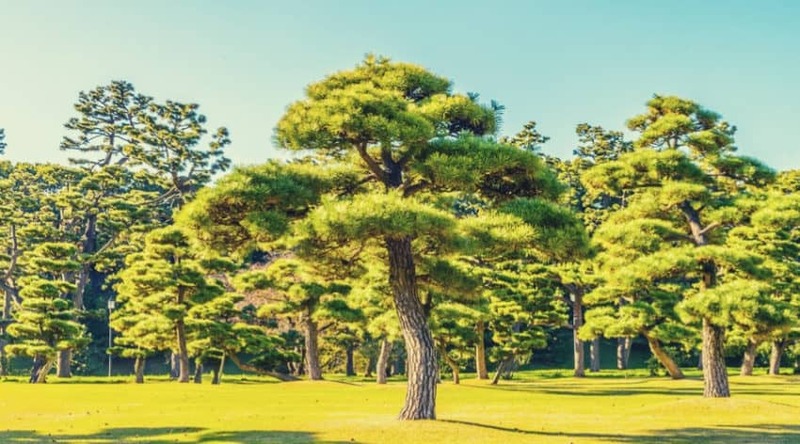 Part of the reason that juniper trees are preferable for many bonsai enthusiasts is that some species are native to the Japanese mountains, and it was the Japanese culture that propagated the practice worldwide. Also, the design that can be made with junipers is quite aesthetically appealing to a large audience. 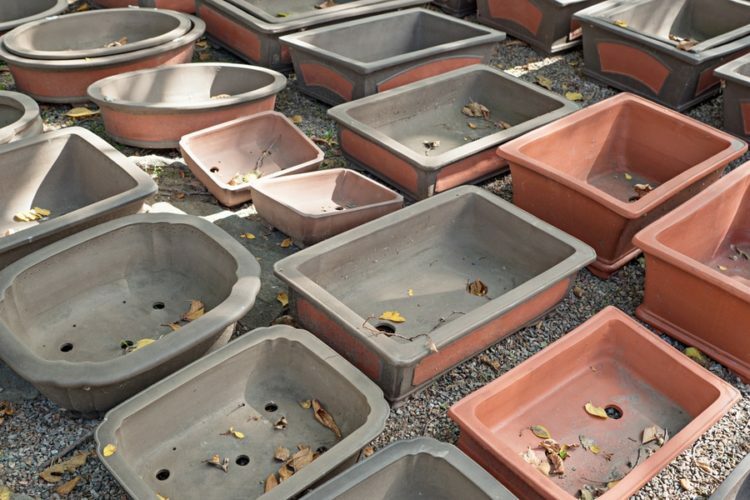 Because the definition of a bonsai tree is that it must be in a container, this is the first step in the process of creating your tree or garden of trees. 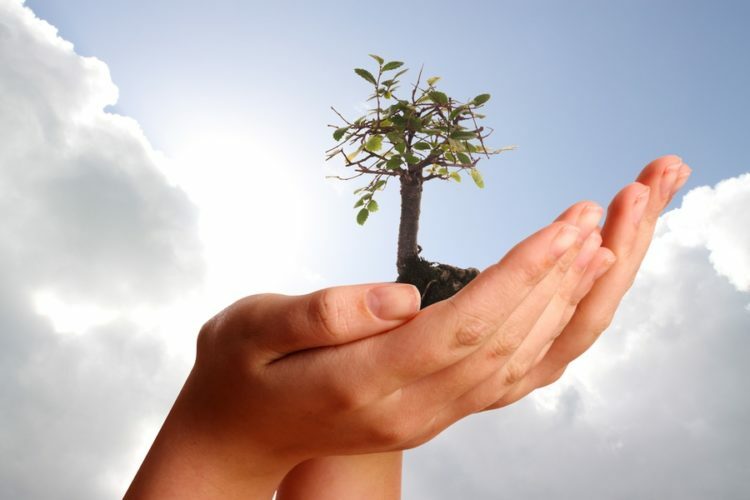 However, you should take note that, in nature, when trees are in the ground, they take nutrients and water from the earth. When potted, they don’t have access to all of this and depend completely on your attention for their survival. Therefore, if you’re considering cultivating one or more juniper bonsai trees, be aware of the commitment you’re making. Aside from wiring and pruning, you’ll have to make sure your tree has proper food, light, and water to not only survive but thrive in its limited environment. With juniper trees, you don’t have to worry about them growing quickly. However, junipers are known for producing deadwood, so you’ll have to be careful of this when designing your juniper bonsai tree. Any area of the tree that has deadwood is easily broken, which will lead to poor quality and even illness in your tree. If the areas of deadwood are old and fairly large, it could be beneficial to split them off, but we’ll discuss that more when we talk about how to prune your juniper bonsai tree. 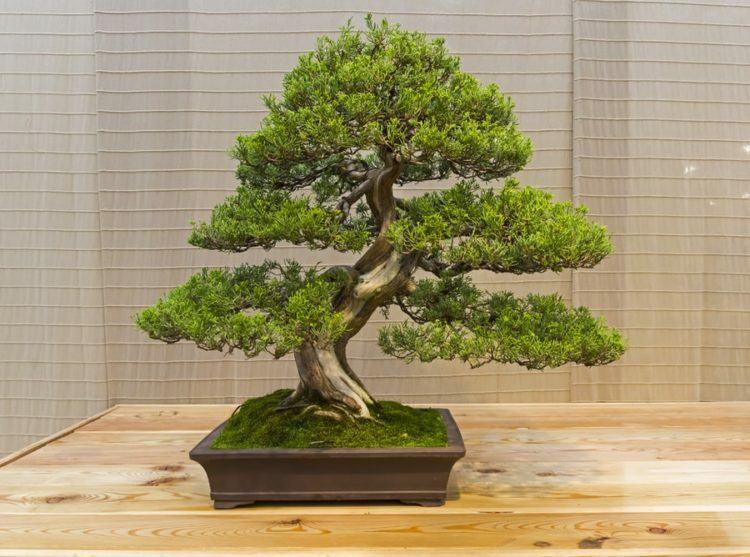 When it comes to bonsai trees, junipers are the most popular among species, partly because it is among the easiest to grow as a bonsai tree and doesn’t require as much attention as many other types. In fact, if you tend to forget about and neglect plants, a juniper bonsai tree is a great choice because it doesn’t need much attention. So, if you don’t have a lot of time on your hands but want to have a bonsai, or you’re a beginner in the practice, a juniper bonsai tree is the best way to go. The best thing about these commonly sold species is that they all have similar structures and, therefore, similar care and cultivation instructions and guidelines. If you study juniper trees in nature, you’ll find that the foliage on almost all of them in their youth start out as needles, with the scale-like foliage appearing later in life on some of those species. This is somewhat of an unusual trait since most trees don’t see a change in foliage type during growth. Whether needles or scales, you’ll find that the various trees range in color, with that foliage running the gamut from light greens to a very dark blue-green shade. The fruit of these trees are berry-like cones, and they are usually round or oval. They can measure anywhere from just three millimeters to about two centimeters, and they don’t ripen quickly, taking up to two years to do so. Birds are quite pleased with them and eat them often. In terms of seeds, they are fairly small, and they are often round with perhaps some sharp corners or edges. They are spread in nature mainly by birds who eat the fruit and then excrete the seeds. Of course, purposeful cultivation of juniper bonsai trees is required rather than utilizing the natural order. Because bonsai trees are meant to replicate the appearance of natural trees in a miniature size, the appearance and shape of the juniper bonsai trees you create should reflect what you see in nature. The aesthetic design should be similar to those found in the mountains of the world where they are most commonly found. Because of their locations and the variety of species, there are many options for styling your juniper bonsai tree, but the important thing is to adhere to the standard of it being kept in miniature, in a pot or other container. Note that the classification system has been a source of debate more than once in the past, which has led to questions about where the lines should be drawn. Therefore, you’ll see that, especially in the smallest of the categories, there is quite about of overlap. The original classification system was based on weight – determined by the number of men needed in order to move the particular tree and its container. But as times have changed, so has the way this is measured and used. The container used for a bonsai tree is just as important as the actual design because it’s part of the art. Also, the type of container can affect the amount of growth you get out of a juniper bonsai tree. The typical earthenware container used in bonsai art, which is quite shallow and often decorated in earth tones to avoid drawing away too much attention from the plant itself, is a great choice for the juniper bonsai tree. It helps control the depth of the root system, as well, which helps keep the growth under control. 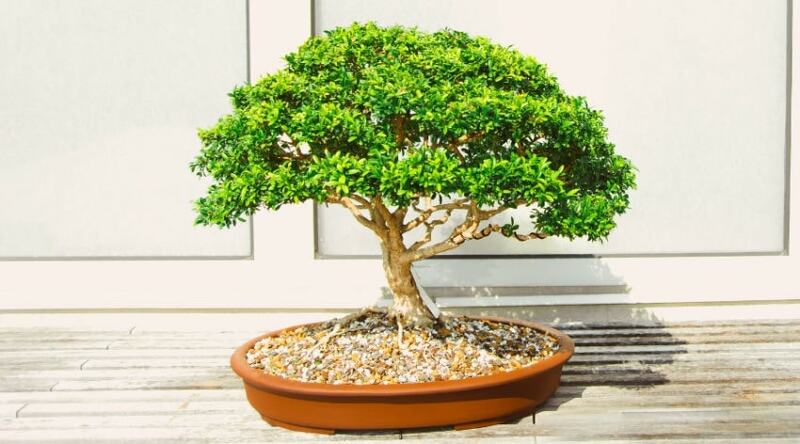 If you prefer a larger sized juniper bonsai tree, you may want to consider the larger jade pots sometimes used, which are deeper and allow for greater root growth that supports a somewhat taller tree. This is also an option if you want to design a more abstract structure, with branches trained to dip below and around the lip of the container. As mentioned, there are dozens of species of juniper trees, and they are categorized into two groups based on the type of foliage they have as they mature. Determining what sort of juniper you have started by distinguishing between these two groups. Chinese Juniper/Japanese Shimpaku – The Japanese Shimpaku is actually a variety of the Chinese Juniper that was simply first identified in the mountains of Japan, from which it got its name. These trees are characterized by foliage that comes in a range of colors, including greens that are yellowish, blueish, or grayish. In nature, these can grow up to 65 feet tall. Itoigawa Shimpaku – While it is very similar to the Japanese Shimpaku, the Itoigawa Shimpaku tends to have brighter, thinner foliage and is extremely popular for the emerald green of its foliage. They are also of interest for their exposed and peeling bark. These, too, can grow as tall as 65 feet in nature. California Juniper – This is a much smaller species of juniper in the wild, only growing to be around 26 feet tall and, on rare occasions, reaching about 33 feet. The most notable characteristic of a California Juniper is the ash-gray bark, which looks like it’s been shredded. Rocky Mountain Juniper – This breed may be harder to recognize in its youth since it starts out with pointed needles coated in white and only develops the scale-like foliage as it matures. It typically grows in a column or ends up more round, and it can be a dark green, bluish green, or very light green. They can grow fairly tall, reaching 30 to 40 feet in height. Sierra Juniper – This tree rarely grows at lower altitudes, preferring to be at least 2,500 feet above sea level. As the Rocky Mountain Juniper, the Sierra Juniper starts out with needle-like foliage, roughly ¼ to ½ an inch long and later grows scale-like foliage. It can get as tall as 80 feet and has a pretty thick trunk for a juniper, up to 10 feet in diameter. Green Mound Juniper – This particular species is known for its true hunter green foliage and the fact that it is excellent for indoor growth because it’s suited for indirect sunlight. They are extremely hardy with tight growth that is classically characteristic of bonsai trees, which makes them great for people at all levels of experience (or inexperience). Common Juniper – This tree is aptly named because it is one of the most common species of juniper around the world. It grows naturally in dry areas, mostly on rocky hillsides and slopes. It produces fleshy cones, the oils of which are used for gin flavoring. Typically it doesn’t grow taller than 25 feet in nature. With so many options, it may seem like a lot to take in, but when you consider that all of these species are treated mostly the same way, it’s much less difficult to figure out the best way to care for your juniper bonsai tree. Junipers grow in natural environments that are fairly dry and cold, which makes them sturdy and not particularly finicky. Therefore, you don’t have to worry as much about cool temperatures, though if you keep your juniper bonsai trees outdoors, you’ll want to bring them in for the winter. Their roots are not allowed to grow deep into the ground, where they won’t freeze, and need extra protection. 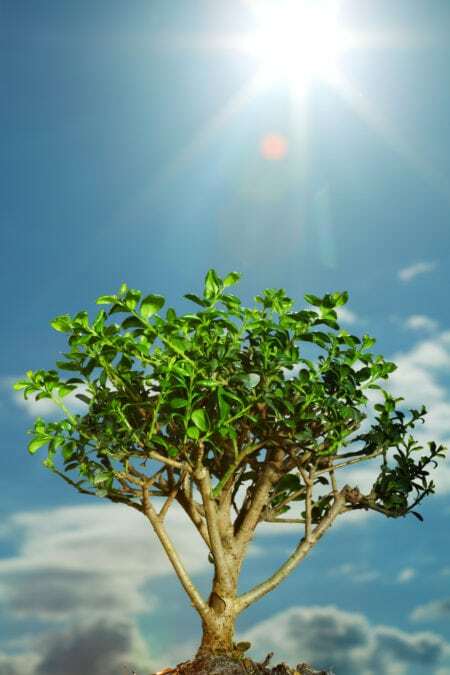 Most juniper bonsais will be perfectly fine until the temperature drops to around 20 degrees Fahrenheit, at which point they need protection from the cold. Note that you may see a change in the foliage with the coloration shifting to a purplish brown shade when it starts to get cold enough. This is part of an internal mechanism junipers use to protect themselves from frost in nature. Also, in the heat of the summer, you want to make sure you provide extra moisture, as well as ample shade during the warmest part of the day. Your juniper bonsai tree could dry out or the foliage could burn and shrivel if it overheats, and this can be very difficult to overcome, even in such a hearty plant. Aside from a couple of species, juniper bonsai trees cannot live indoors and thrive. They need to be outdoors, nearly year round, for best results. Most juniper bonsais need to be in bright sunlight throughout the day, mainly direct light. Again, some species, like the Green Mound Juniper, are more tolerant of less than ideal positioning and light, making them easier to handle and care for throughout the year. While having trees in containers rather than planted in the ground means they are fully dependent on you and require more attention, it also means that they are easier to move so that they get the sunlight and shade at the proper times. 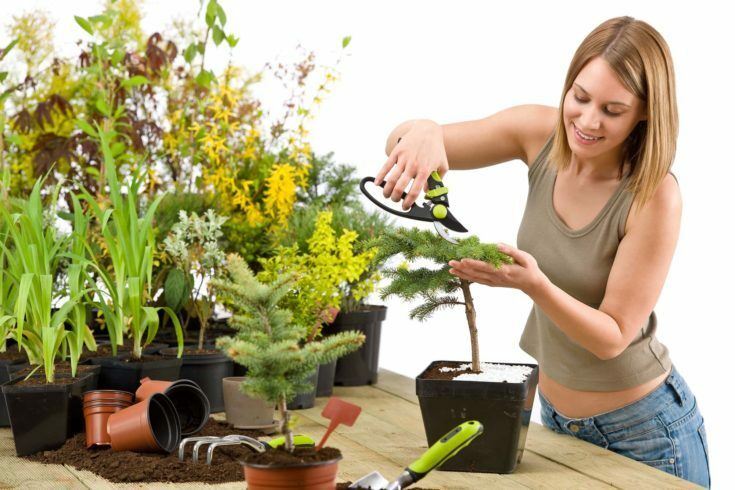 Therefore, you can easily relocate your juniper bonsai tree every day as needed in the heat and carry it into a safer, more protected location in the winter. Most junipers tend to grow in fairly dry environments. Therefore, they don’t tolerate over-watering well. When it comes to moisture, you should make sure the soil in which your juniper bonsai tree is planted is completely dry before you water it. This usually takes a couple of days or longer, depending on your climate. Adding too much moisture to the soil can lead to root rot or growth of mold and mildew, all of which are detrimental to the health of your bonsai. On the other hand, air humidity is beneficial to your juniper bonsai. If you don’t live in a damp environment, misting the foliage of your plant can help it thrive. Spritz it evenly with a spray bottle daily to afford it the humid environment it would otherwise have in nature. Most juniper bonsai trees grow at a decent rate but wouldn’t be considered fast growers, with the exception of a few species, such as the Green Mound Juniper. This is good for bonsai trees, as growing too quickly makes it more of a challenge to manage the shape and design of the tree. However, you want enough growth that you’re able to work with the new sprouts to create the design you want. 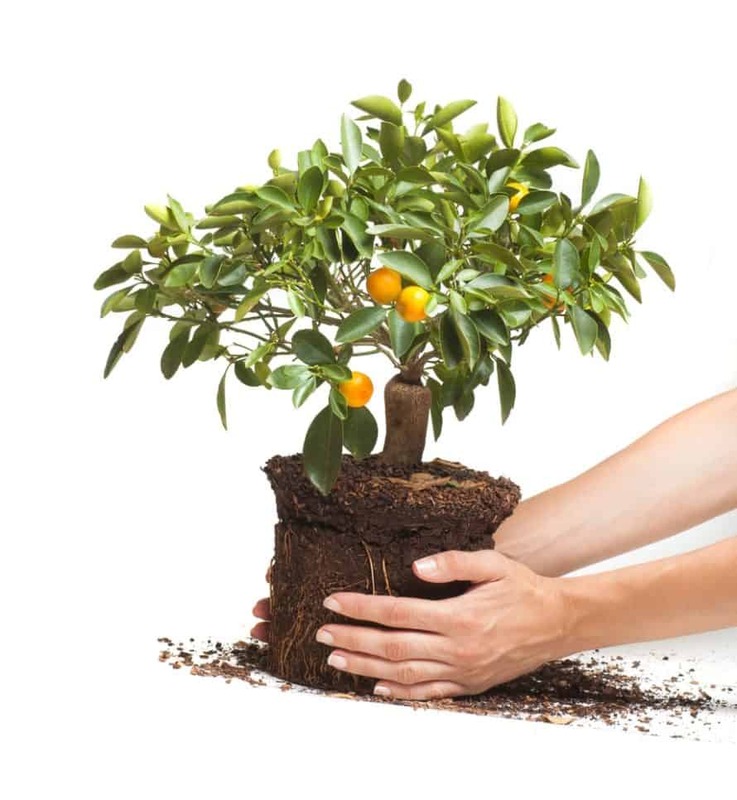 In addition, the only way a bonsai tree gets nutrients is with feeding and fertilization. They can’t draw from the earth, being kept in containers, so they depend completely on you to administer the nutrients that help it stay healthy and grow. During growing season, you’ll want to use standard fertilizer – preferably organic – that comes in pellets or balls. Administer to the soil once a month so that you aren’t overwhelming your juniper bonsai with food but assure it has enough nutrients to grow properly. You might also choose to use liquid fertilizer on a weekly basis. Alternatively, especially if you’re looking for greater or faster growth, find a solution with a higher nitrogen level that you can apply throughout the spring to achieve the results you want. 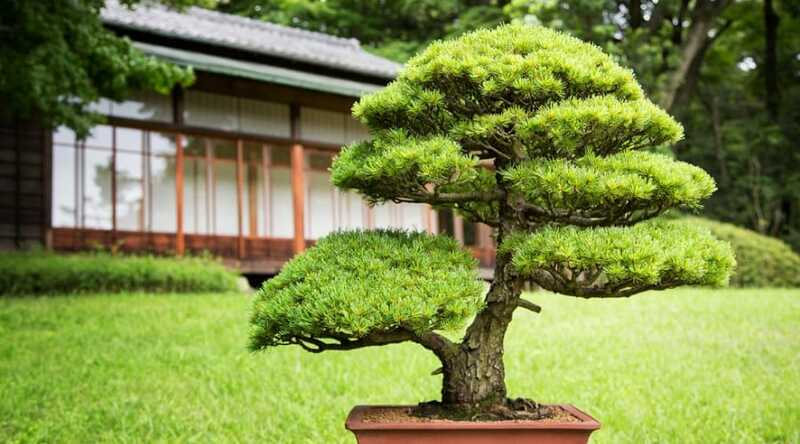 While there are many practices similar between tree species to create the perfect bonsai design, certain properties of the particular species add precautions when pruning. With juniper bonsai trees, there are two specific things to pay attention to in order to avoid dieback that could be harmful to the tree. Be careful when trimming around the deadwood. Juniper is a great source of deadwood, since the veins within a broken or dying branch actually dry out and die, unlike a great many tree species. Note, however, that the areas of the juniper bonsai tree with deadwood are easy to break. If the area of deadwood is fairly large, it might make sense to split it off, leaving much easier access to the living flexible parts of the tree. In nature, some juniper species grow more like shrubs than trees. However, when cultivating juniper bonsai trees, steer clear of pruning it like a shrub and removing all the growing tips. This makes the tree weaker, and it might have a hard time coming back in a robust way. Juniper bonsai trees are typically designed with long shoots that stick out on one or both sides of the tree. To achieve this appearance with thick pads of foliage, you can pinch and cut shoots at the base to avoid growth in unwanted areas. Use very sharp scissors to make the cuts to avoid damaging the rest of the tree. Cut branches as needed, but be sure you aren’t trimming back all new growth. If you happen to purchase or grow a tree with an extensive amount of deadwood, take precautions to avoid harming the tree by removing large areas of deadwood and exposing the new growth that is more malleable. Be careful with the purchase of youthful juniper bonsai trees. When you start to prune them, especially those that transition from needles in youth to scales in maturity, you’ll find that the needles may grow back thicker and for longer than normal due to stunted growth leading to delayed maturation. Save the aggressive pruning for when the tree is more mature. Only prune during the growing season. You can start very early in the season, getting a good idea of what’s going to be needed to shape the tree and maintain the appearance of a beautiful juniper, but don’t continue to trim and prune too long or too late into or past the season. You could experience some very poor quality and some difficult to correct health problems. 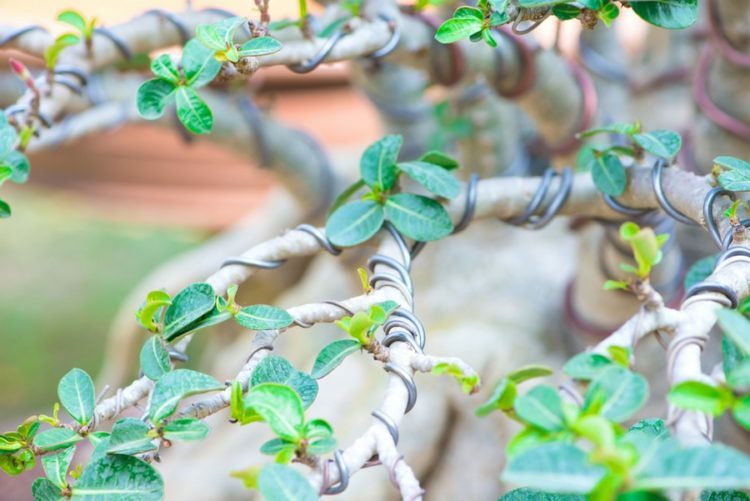 The process of shaping the bonsai tree and forcing it to grow into a particular shape is called wiring, and it’s necessary because the plant you’re working with naturally wants to continue to grow without a shape until it is much larger. Remember, these are not genetically modified seeds, and in nature, the tree wouldn’t grow long, lush limbs just a few inches from the base of the trunk. So, you have to use wires to train the limbs to move and grow in the direction you want. 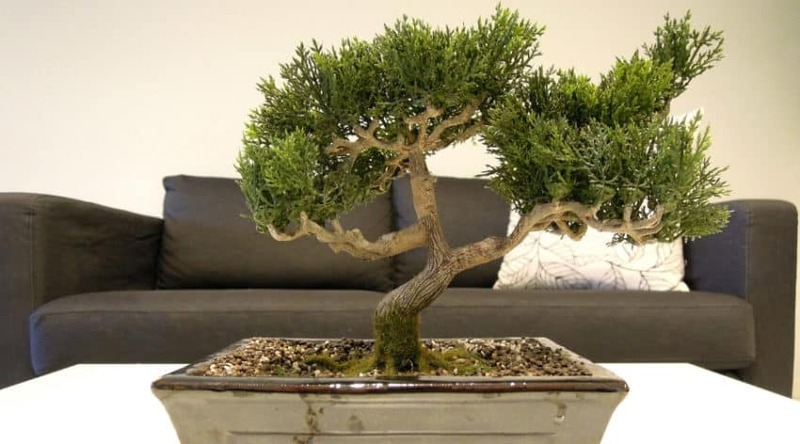 In addition, with juniper bonsais especially, twisting and curving of the trunk and branches is quite popular, and wiring can help you accomplish this. Luckily, junipers are a hard enough wood type to make wiring simple and not a problem for these trees (softer wood might require twine instead, as wires would literally cut into the soft branches). You can start wiring your juniper bonsai tree at a very early age without any detriment to the tree due to its sturdiness. If some of the limbs seem delicate, wrap them first in tape or raffia for protection. Still, you have the ability to bend and shape strongly without worry that you’ll cause damage to the growth or health of the juniper bonsai. Once you’ve thinned out the foliage, it’s time to wire them to your desired position. Fan out the foliage pads so they are separated into nice, thick bunches that look very similar to the natural, larger counterparts. Fanning allows air to flow through and feed the inner parts of those pads so they don’t mold from too much moisture or dry out and die. It’s also an aesthetically pleasing thing, keeping the way the tree grows from looking like nothing more than a head of broccoli. You could propagate juniper bonsai trees from seeds and be quite effective. However, it’ll be at least two years before you experience enough growth to start shaping, wiring, and pruning the resulting plant. Typically, these bonsais are propagated from cuttings, taken from the semi-hardwood parts of the growth or branches that grew during the current season. If you take the cuttings between July and November and get them settled, they should have taken root by the following growing season. That’s a matter of proper care. Be prepared for the time and consideration it takes to do the job properly. This is not a simple or fast project to complete. You’ll need a planter, your cuttings, and a potting medium that does not include soil. 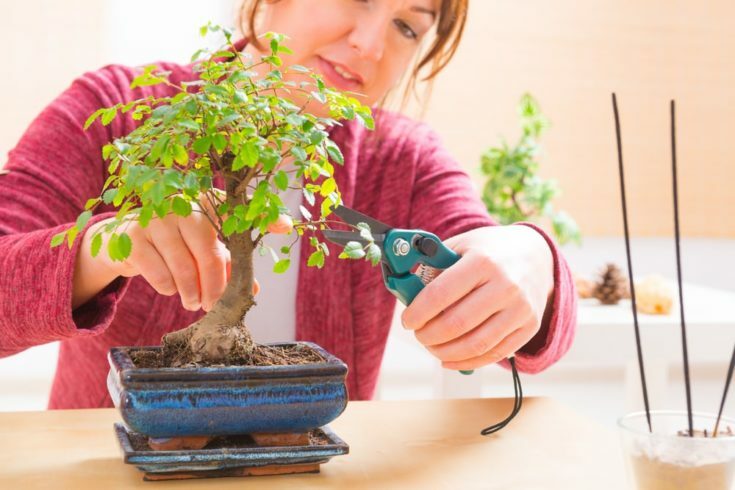 Using pruning shears that are not concave, cut a piece from your existing juniper bonsai, a stem or branch. It should be between eight and ten inches long and be healthy, preferably a newly grown piece from the current season and not an established piece from a previous season. It should also have a lot of needles or scales growing from the tip. From the bottom end where you removed it from the existing bonsai, remove all the foliage. The first two inches of the branch or cutting should be bare of foliage when you’re done. Take a sharp knife and run a slit along either side of this two-inch bare strip of the cutting. This opens the cutting up so that it is more likely to absorb greater amounts of water and nutrients from its new environment, which will help it grow and take root. On a shallow dish, put a teaspoon of rooting hormone, and roll the bare end of the cutting in it, until it is thoroughly covered. Be sure to shake off any excess to avoid blocking up the slits you made. In a gallon sized planter or container, add your potting medium (again, one that doesn’t contain soil). For each cutting, you intend to cultivate, make a hole that is about an inch in diameter. Stick the bare, hormone-coated end of your cutting into the hole that you prepared in the planter. Make sure your cutting is upright, and then tuck the potting mix tightly around it so that it stays firmly set in place. Using a spray bottle, mist the soilless medium you’ve chosen with water until it seems to be moist all the way through. Then, put a 12-inch stake at the corner (or if the planter is round, evenly around the sides) of the planter. Cover the entire thing with a clear plastic film in order to assure that the humidity in the cutting’s environment is consistent. Place your cuttings in indirect sunlight, preferably somewhere with cooler temperatures of between 60 and 65 degrees. However, putting a heating mat beneath the planter and setting it for about 70 degrees will help the roots grow faster and healthier. Mist the cuttings daily to maintain humidity and growth ability. 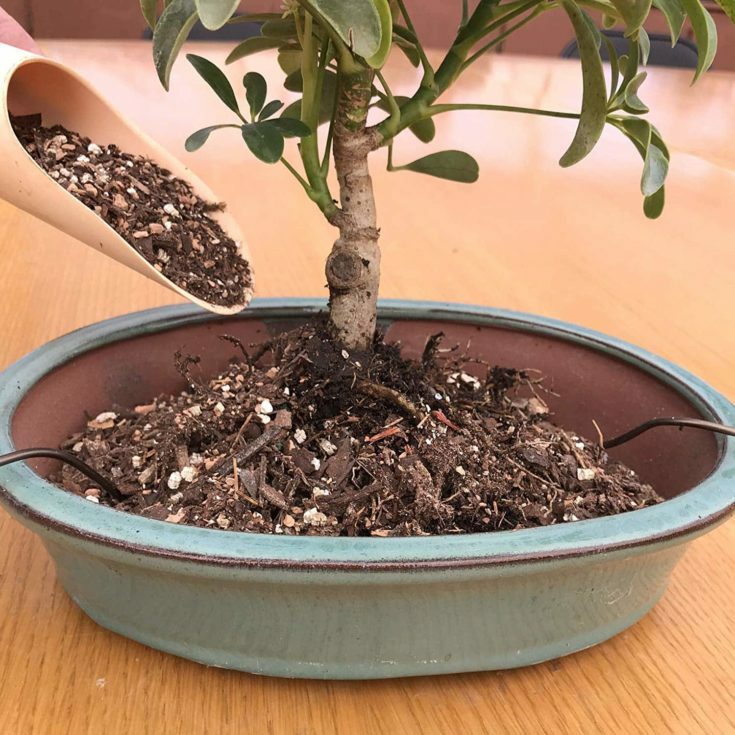 After about four weeks, you can test to see if roots are growing by very carefully tugging on the cutting to see if it holds into the potting mixture. If the cutting has taken root, you can then transplant it into a more permanent pot of about four inches. 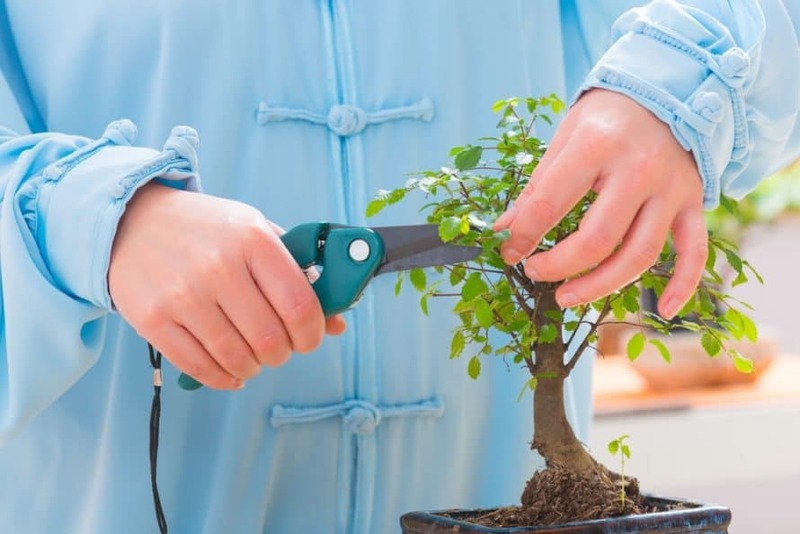 A couple of things you can do to assure the best results when taking a cutting for propagation are making sure that you cut the day after you water the juniper bonsai tree, and you should always cut in the morning and transplant as quickly as possible. This prevents the juniper bonsai cutting from the very real possibility of drying out. Also, because uprights are sometimes difficult to grow well, you should plant several cuttings at once to increase your chances of success. Be sure that, if you do intend to plant your juniper bonsai tree in a garden rather than in a container, you first cultivate it in a container for at least one year. You need a much more mature root system to survive in the ground. Because of root system growth and the chances of root rot, as well as clinging to the pot, you’ll need to repot your juniper bonsai tree every two years. This is typical of all bonsai trees, though some do need to be transplanted more often. And luckily, with this tree family, when you have very old trees, you can wait longer, as the growth is slower and moving them so frequently can cause more harm than good. This should be done in the offseason since you don’t want to trim actively growing roots. Also, be careful how much root trimming you do, as cutting back too much can kill your juniper bonsai tree. Usually, about a third of the root system is a good marker for how much to cut back. When repotting, use a standard soil mixture that has good drainage. Remember, junipers and bonsais, in general, don’t remain healthy in soil that is too moist, so you want excess to be able to drain off when you water, just to make sure. If you’re still looking for your juniper bonsai tree to grow a little larger, repot in a slightly larger container. This will allow its root system to grow back and strengthen the plant, growing larger. However, if you want to maintain the current size, find a planter that is about the same size as the previous one. For the most part, if your juniper bonsai tree is well cared for, and you place it in the proper light and temperature, you’ll likely have very few problems. These are sturdy plants not prone to a large number of diseases, and they don’t attract a ton of pests. That being said, there are always things to look out for with every type of plant, and the juniper bonsai tree is no exception. 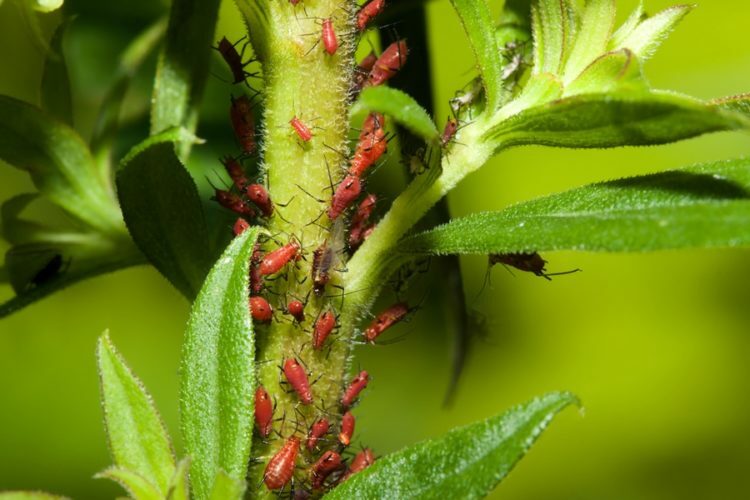 Using an insecticide spray to combat the infestation is recommended, and if you can do it with an organic mixture, that’s even better for the health of the tree. 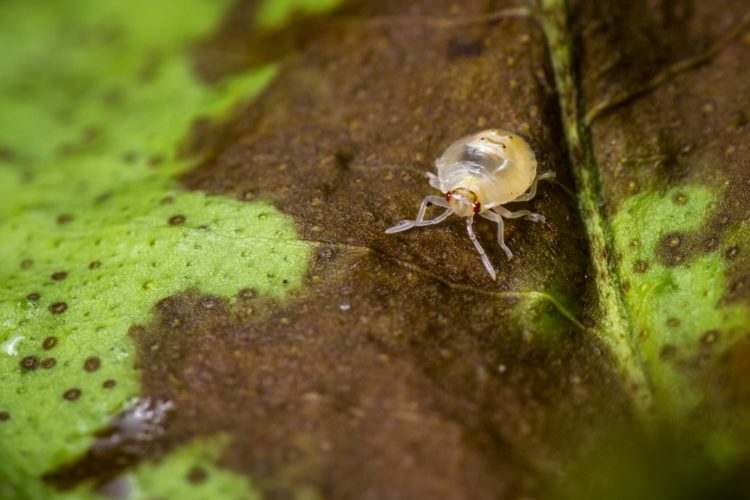 When it comes to ailments, the most common issue is fungal diseases. These can be prevented by keeping the soil dry and assuring that the bonsai doesn’t experience too much moisture or humidity. Repotting properly every two years also helps reduce the possibility of a fungal infection to the plant. Beware of rust fungus, as this is a permanently damaging infection that causes swelling throughout the plant and cannot be resolved. 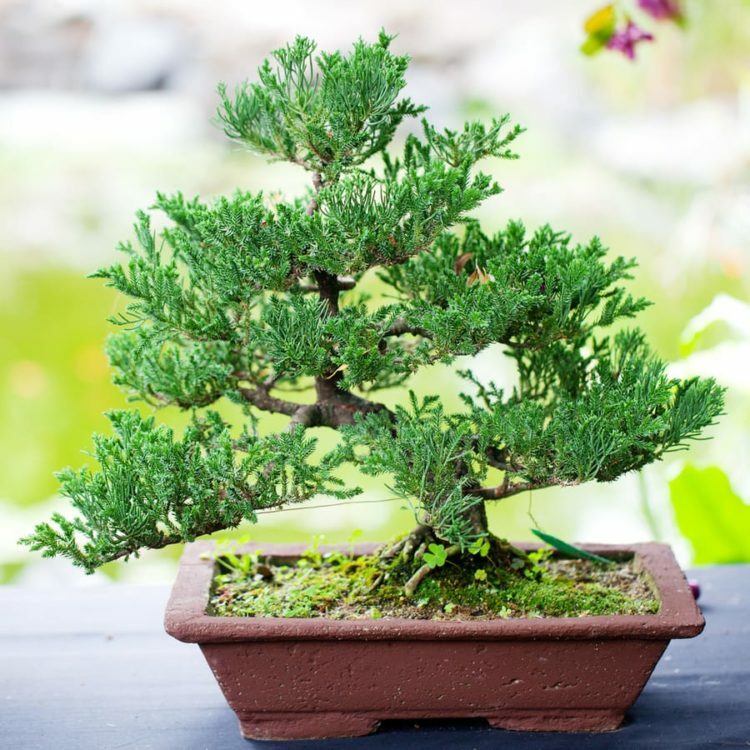 One tip to keep in mind, especially if you’re new to caring for bonsai trees, is that the darker the juniper foliage, the sturdier it tends to be in terms of standing up to infestations of any kind. The trees with yellowish green foliage are far more prone to disease, although they are still some of the easiest to prevent from becoming infected. Cultivating juniper bonsai trees can be therapeutic and quite satisfying. In fact, it can be extremely peaceful and calming. However, it’s not a simple task to be taken on if you’re just considering options for a new hobby. It takes time and effort on a regular basis, year-round, to assure your bonsai tree is happy and healthy. However, if you’re going to get started, the many species of juniper bonsai trees are a great place to get the jump on how it works. They are incredibly sturdy and don’t require a lot of going above and beyond. In fact, with these, if you happen to forget to water them for a couple of days, it won’t bother them. They are quite resilient, as well, and if you want to practice and experiment with wiring and pruning, these are your best option to learn the ins and outs of it without causing damage to the plant. Juniper bonsai trees are tolerant of most climates and can survive in very low temperatures, based on their hearty nature and preferred growth areas around the world. Therefore, you don’t have to keep an entire room in your home with space for them throughout the winter, in most areas of the world. However, you may want to move them around the yard space to accommodate the need for shade in extreme heat and brilliant sunlight, or to block them from heavy, harsh winds in the winter. 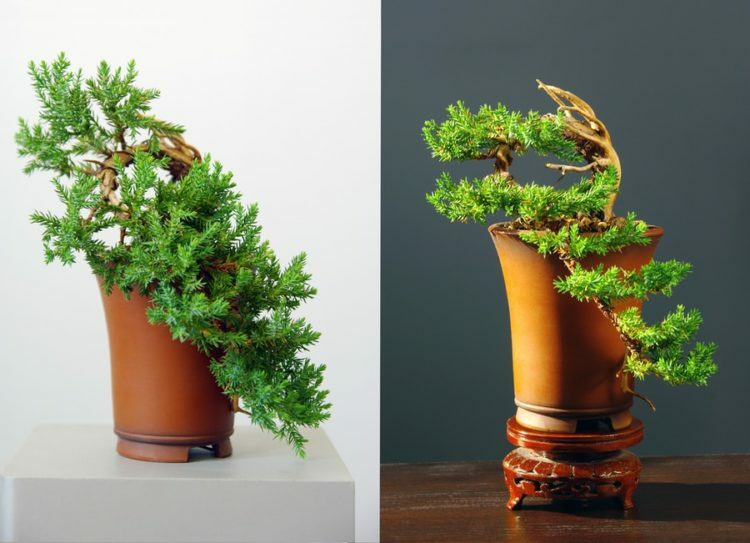 Know that the heavy lifting occurs in and around the growing season, but because the bonsai tree doesn’t have access to the earth, you’ll need to give it some love and attention year round, maintaining the necessary water and nutrients in the container so that, even when dormant in growth, the juniper bonsai tree continues to thrive. If you’re going to take a chance on bonsai, or if you’re looking to expand your collection, you can’t go wrong with a juniper bonsai tree.